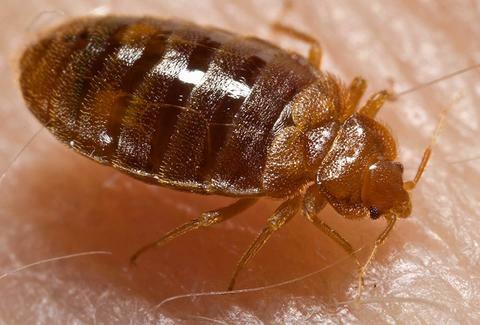 Of all the souvenirs you can bring back from vacation, here's the worst one: bedbugs. They bite you, infest all your stuff, and in fact, more people would rather get food poisoning than have these critters crawling all over their beds. And to tell you which cities are plagued worst by the pests, Orkin has released a list of the 50 American cities that attracted the most bedbugs last year, based on the number of treatments administered nationwide. The most infested city in the country? Chicago. Yep, for the third year in a row, the Windy City wears the title belt of worst breeding ground for bedbugs. Detroit was named the second worst city for bedbugs, while Columbus, OH landed in third place. Three other Ohio cities landed in the top 10, including Cleveland, Cincinnati, and Dayton. Bedbugs clearly prefer the Midwest, unlike many people in the Thrillist office who don't even know where that is. While the nation as a whole was crawling with 18% more cases of bedbugs in 2014 than in 2013, Toledo, Fort Wayne, and Bowling Green were the least infested places included in the ranking. And a few cities were able to get rid of huge swathes of the creepy crawlies, with cities like Syracuse (no. 28) down 14 places, San Diego (no. 39) down 13 places, and Miami (no. 33) down 11 places from 2013. Chloe Pantazi is an editorial assistant on Thrillist's travel team. She's never had bedbugs, and doesn't plan on starting now. Follow her on Twitter at @ChloePantazi.